A treadmill is featured with various benefits and you are probably searching for a good treadmill. However, among the various brands, it might be difficult for you to select the best treadmill in india. Which is the Best Treadmill in India For Home Use? The TDA – 230 motorized treadmill has been designed by Powermax Fitness. It is a perfect solution for having an outstanding gym workout at the home along with office. The 2.0 HP Continuous Motor provides a convenient and smooth ride in times when the LCD display helps to track your distance, speed, time, heart beat, calories burned along with fat measurement. The extraordinary performance and features that has been shown through this treadmill, have been attracted a large number of customers. Made for Home: The TDA – 230 is a compact, lightweight, and a foldable treadmill that is offering the convenient and appropriate space saving solution to create a home gym. 2.0 HP DC GREEN MOTOR: It is a reliable and quiet 2.0 HP DC motor along with the Green Efficient Technology that consumes less than 1-unit for 1 hour. Soft Drop System along with Storage: The TDA – 230 is well equipped with unique foldable property along with the soft hydraulic release that is helpful to store the treadmill effortlessly in children’s room, bedroom or slides under that room’s bed when it is not used, thanks to its space-saving feature. By pushing its Yellow button, its running board can be descended slowly. It is helpful to prevent the back injuries. It is featured with safety locks hold that prevents it from the falling over while it is stored in the upright position. The transport wheels have made it easy-to-move and more convenient. Auto Inclination: The Auto inclination property is helpful in inclination or declination of the running board from 0-15% on a single command. It is associated with Speed along with auto inclination Control Key on the hand rail. Auto Lubrication: Auto Lubrication lubricates the running belt and ensures the smooth movement and zero friction of the running belt. It is helpful in increasing the running belt and motor life. Broad Running Belt: It featured with a spacious running belt associated with a size of 50″x 16.5″. It helps the users to accommodate easily in times of running and provides the full range of motion rather than feeling or uncomfortable or crammed during the exercise. Its Belt featured with Multi-ply polyester satin weave along with a PVC non-slip surface with a thickness of 1.8mm. Its running board (double layer) is designed with high density board with the thickness of 16mm. Roller: It featured with steel crowned and precision-machined rollers that are involved with the dynamic balancing keeping the belt centered along with ensuring the running belt’s smooth movement and increasing the life of running belt and bearings. Six Level Shock absorption: It is equipped with 6 big springs that are helpful in absorbing the shocks in times of running on the treadmill and reducing stress on the by 30 to 40% as compared to running in the outdoors. It is featured with 2 Extra PowerFlex large springs that provide assistance. This treadmill also featured with Display, Music, Life Time Frame Warranty, Maximum User Weight Capacity, and Installation & Service Support. Click here to Check the Latest Price of Powermax Fitness TDA 230 Treadmill. Its Running Area is 1260 x 420 MM and the Run Belt is featured with Multi-ply polyester satin weave along with a PVC non-slip surface of 1.8mm thickness. Its Rollers are Precision-machined and Steel crowned rollers. Its Max. User Weight is 115 kg. With the Wide LCD Display, you will be able to see the Speed, Time, Calories, Distance, and Pulse Rate. It is equipped with 12 No. of programs. 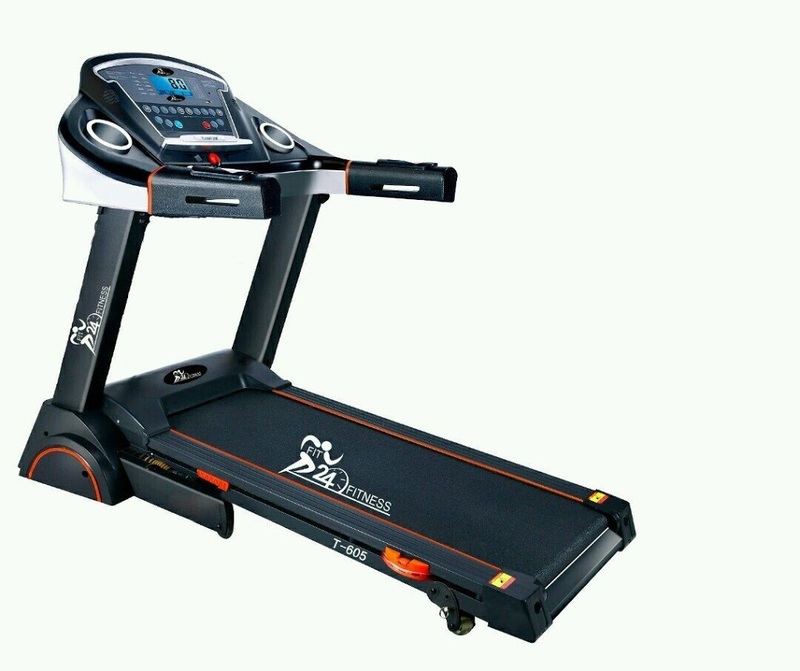 The particular Treadmill is well equipped with superior quality speakers, Audio input interface along with App system in order to connect & control treadmill with the mobile through Bluetooth. It is featured with 2.0HP continuous duty (CHP) DC motor that is sufficient for the user weight up to 120Kg. It has 2.0HP CHP motor. It is consuming less power, 1 unit for one hour duration of usage because it is a green efficient motor. 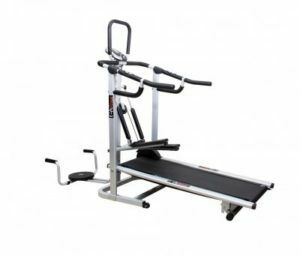 This specific treadmill does not require extra special skill and ability for installation, as it has come 95% preinstalled could be installed by himself as the company does not give any sort of installation or demo. Three Level Manual Incline: The treadmill surface could be manually inclined to the three levels for increasing or decreasing the steepness for various workout levels. This treadmill can be listed as the best treadmill in india. HP DC Motor: The treadmill featured with a 2 HP DC motor that have made it prominent and convenient during recurrent power cuts. With the sake of 2 HP motor, this particular treadmill helps in maintaining the constant speed for an effective and efficient run. Wide Speed Range: The treadmill’s speed ranges from 1-14 km/hr that has made it appropriate for beginners as well as advanced like runners. Wide Running Surface along with Rubber Cushion: It is well equipped with a running belt of length 1200 mm along with the width of 420 mm. The specific treadmill is providing a generous surface for running on. The surface made with rubber cushion for let you run comfortably. LCD Display with Six Functions: With the effective LCD display, you can easily check the distance, time, and speed. Besides these all parameters, you can effortlessly view hand pulse, calories burnt along with the running inclination. Eight Workout Programs: With the help of its eight workout programs, one can work out at the different levels. 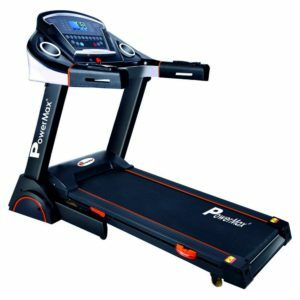 Grip Pulse Sensor: This best treadmill in india for home use is involved with a grip pulse sensor, which senses the pulse rate and then displays it on the LCD screen. Safety Lock System: This treadmill featured with a safety lock system through which it can be stopped in the emergency time and thus accidents along with injuries can be prevented. Foldable with Wheels: This treadmill is cylinder-foldable that has made it easy-to-store, particularly in the smaller spaces. It can be effortlessly transported from one place to another. Designed for Home: The TDA – 260 is a compact, lightweight, and foldable treadmill that is offering the perfect and appropriate space-saving solution for one’s home gym. 2.0 HP DC GREEN MOTOR: It is well equipped with reliable and quiet 2.0 HP DC motor along with the Green Efficient Technology that uses less than 1-unit for the duration of 1 hour. 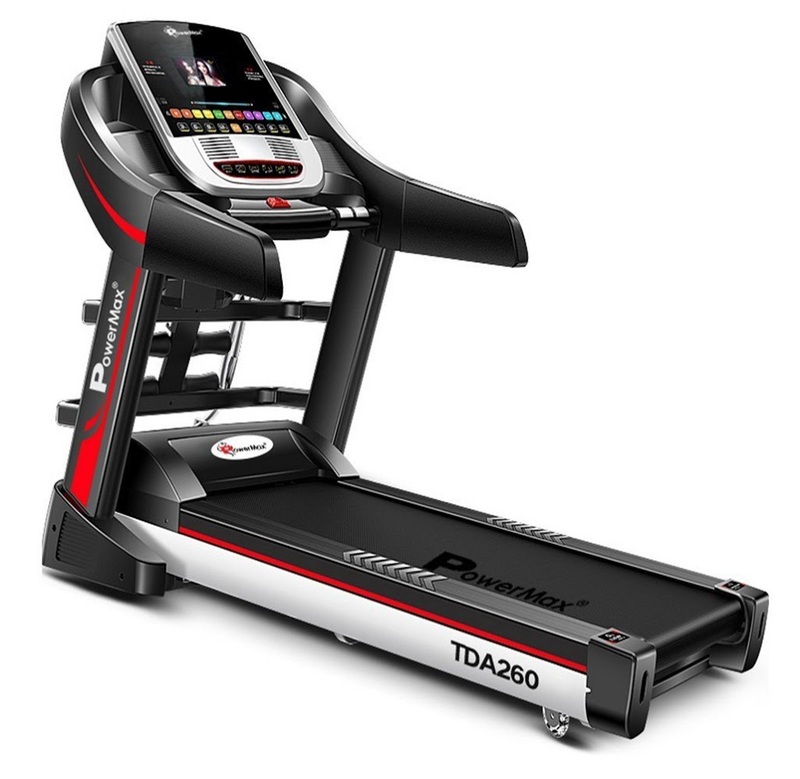 Soft Drop System and Storage: The TDA – 260 is equipped with unique foldable feature along with the soft hydraulic release that is helpful in storing the treadmill in bedroom easily. It can be stored in children’s room or it can slide under the bed (while you are not using it) with its space-saving feature. It is featured with safety locks for holding the treadmill in the folded position that will prevent the particular machine from falling (while it is stored in the upright position). The transport wheels have made it more useful, convenient and easy-to-move around many places. Auto Inclination: This amazing feature is helpful in inclination or declination of the particular running board from 0-15% on the single command. It is featured with Speed along with auto inclination Control Key on the hand rail. Broad Running Belt: It has the spacious running belt with the size of 51″x 18″ that is capable to accommodate the user easily in times of running. Roller: It is steel crowned and precision-machined rollers (along with the dynamic balancing) that are helpful in keeping the belt in centre. It also ensures the smooth movement for the running of the belt. It is helpful in increasing the life of the bearings along with running belt. Display: It featured with the 7″ Color Touch screen that displays speed, time, calories, distance, Fat + BMI measurement, and heart rate. Its 12 preset workout programs help the users for setting the variable exercise mode for the endurance training, weight loss training and its speed can automatically that is depending on the selected program. Powermax Fitness TDA-260 featured with Music, Life Time Frame Warranty, Maximum User Weight Capacity, and Installation & Service Support. 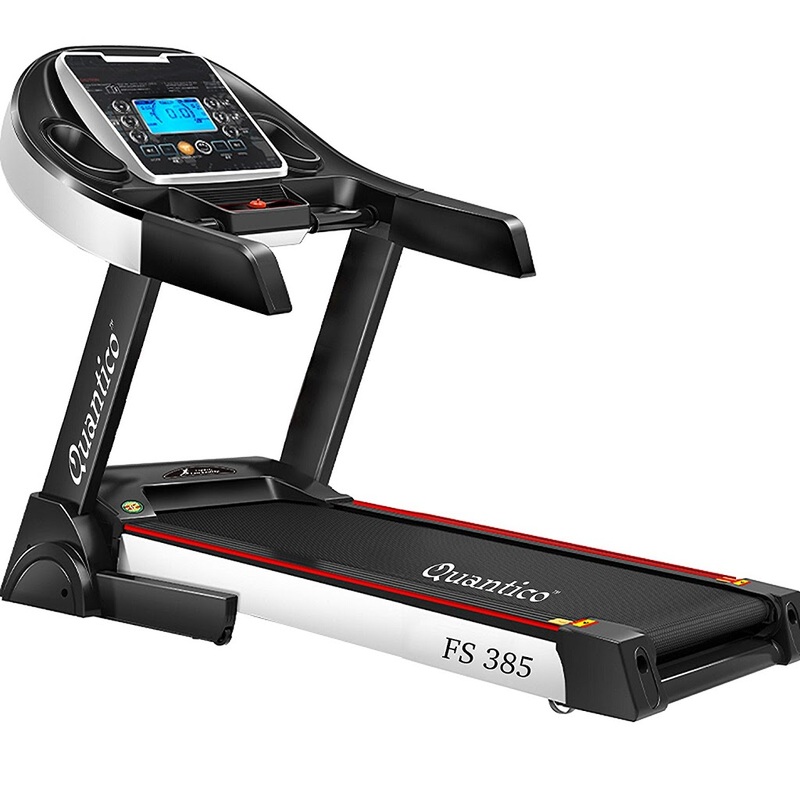 The FS-385 motorized treadmill is designed by Quantico Global India Pvt Ltd. It is simply a wonderful solution for doing workout at your convenient location. Its 2.0 HP Continuous (4.0 HP Peak) Motor provides a convenient and smooth ride and its LCD display tracks the time, distance, calories burned, speed along with the heart rate. 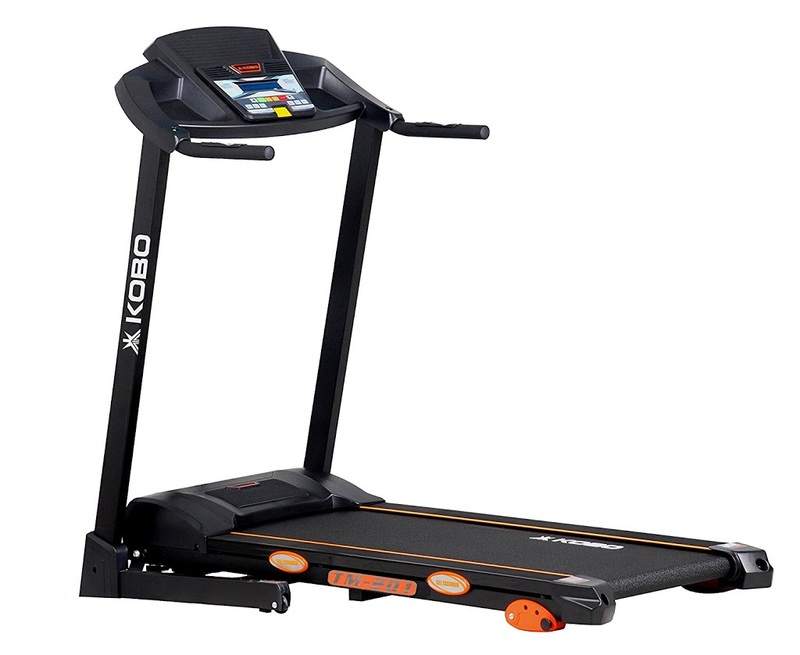 The unique features and great performance of this treadmill help in achieving the fitness goal for a person. It is a compact, lightweight, and foldable treadmill providing the sufficient space saving feature for creating a perfect home gym. It has come with the reliable and quiet 2.0 HP DC motor along with the Green Efficient Technology that takes less than 1 unit electricity per hour. This treadmill featured with the Running area of 1260mm×420mm. It has an extraordinary foldable feature along with hydraulic release, sliding, or children’s room under the bed whenever you are not using it. Its LCD screen displays speed, time, heart rate, calories along with fat and BMI measurement. It has come with a safety lock that can hold the machine in the folded position and prevents its falling over when you have stored it in an upright position. It can be listed as the best treadmill in india 2019. 4 in 1 Deluxe Manual Treadmill: You can bring home the extraordinary 4 in 1 Deluxe Manual Treadmill that has been designed by Lifeline for experiencing an all-round fitness control. Its dynamic treadmill associates with a stepper along with a twister that is helpful in toning the abs and leg muscles along with panache. It can be referred to as the best manual treadmill in india. User-friendly dashboard: It has user-friendly dashboard along with one electronic metre display. Its electronic metre involves with pre-installed functions including distance, speed, time, calories, and pulse that helps to monitor the health and workout with finesse. Wider Jogging Surface: It has a wide jogging surface and the extra space provides the easy leg movement scope without any worry of unwanted space insufficiency. Portable Treadmill: You can run and jog with this treadmill in your preferred choice. This smart and outstanding treadmill featured with wheels that enable one to transport this device from one space to another without any mess. This is a foldable treadmill and that is why it can be easily stored. A twister for toning your muscles: This ultra modern treadmill featured with a well-balanced twister. This treadmill is also equipped with a wider jogging surface. It is an absolute portable treadmill. 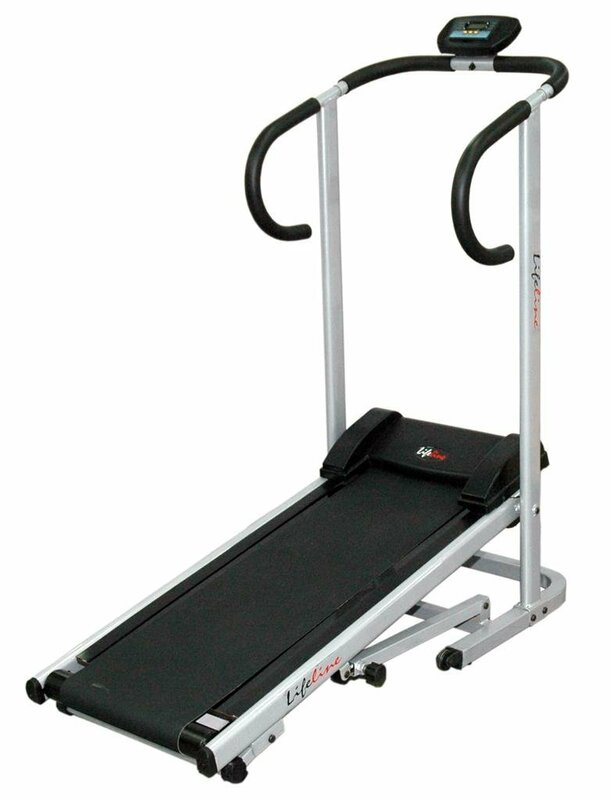 The particular treadmill can be regarded as the best treadmill for home use in india. 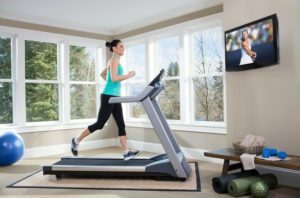 This unique and ultra-modern treadmill designed by a reputed, prominent, and reliable house of Lifeline. It is a perfect combination of good appearance and functionality. It features a user-friendly dashboard along with the pre-installed functions including speed, scan, time, distance, pulse, and calories that is helpful in the monitoring one’s health efficiently. It is portable with the attached wheels and it is a great balance of strength and durability, as it featured with solid steel frames. This treadmill is equipped with user-friendly dashboard along with electronic metre. It boasts a wider jogging surface. This portable treadmill offers an efficient and smooth running motion. Its durable design implies this treadmill’s longevity. This can be regarded as the best treadmill brands in india.